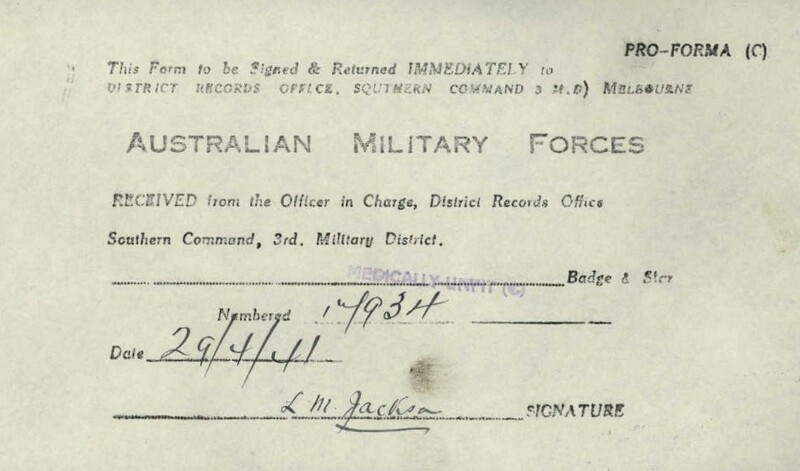 Certificate for medically unfit condition of a soldier. 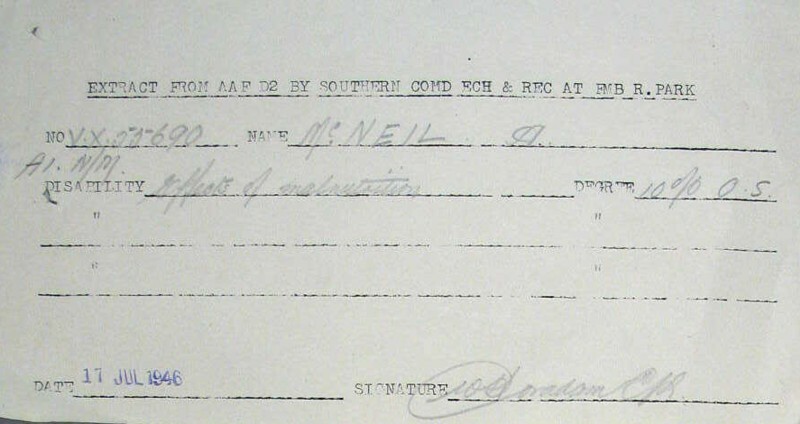 Certificate for degree of disability of a soldier, in this case, through the effects of malnutrition of a released P.O.W. 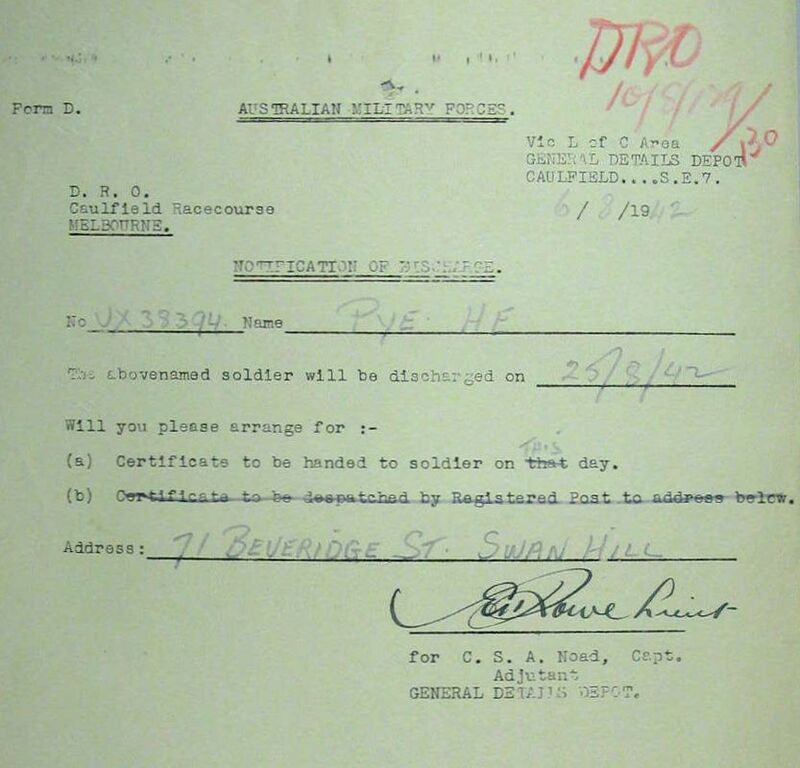 Another form of Certificate for degree of disability of a soldier. 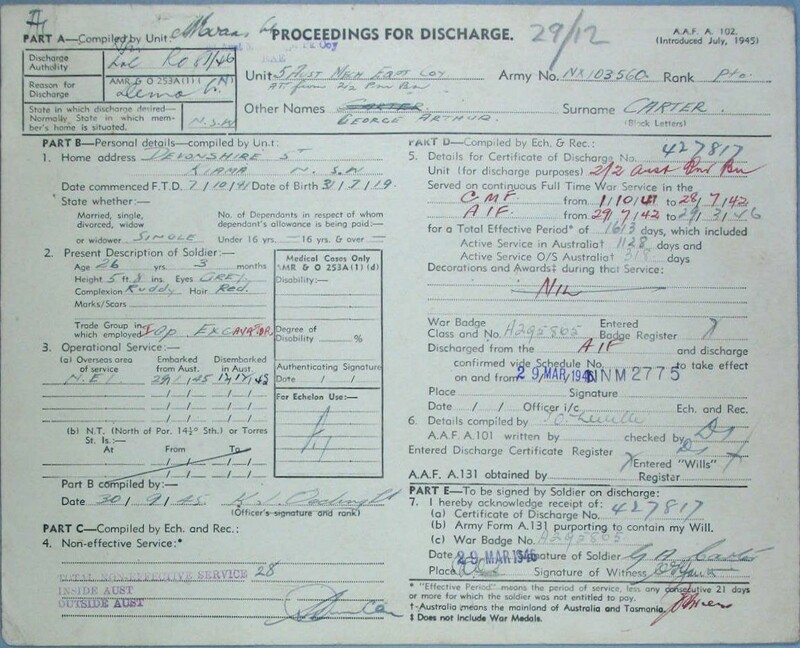 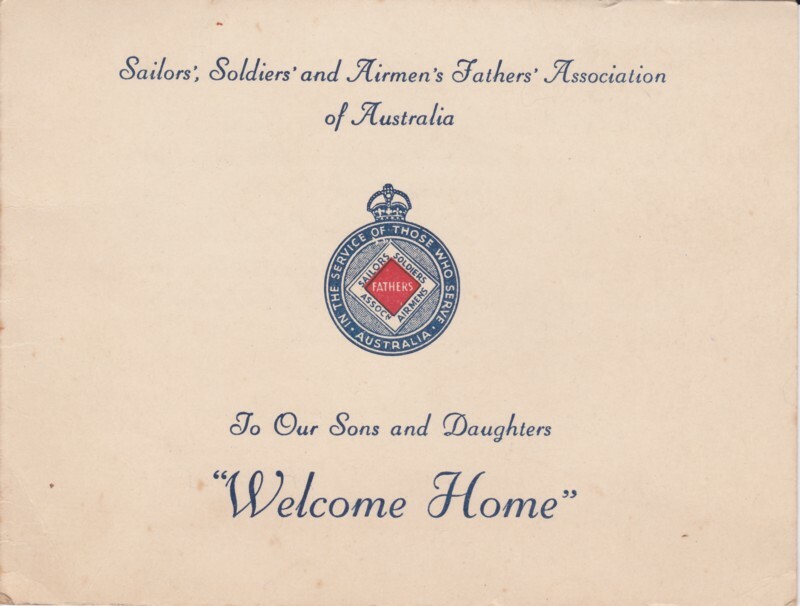 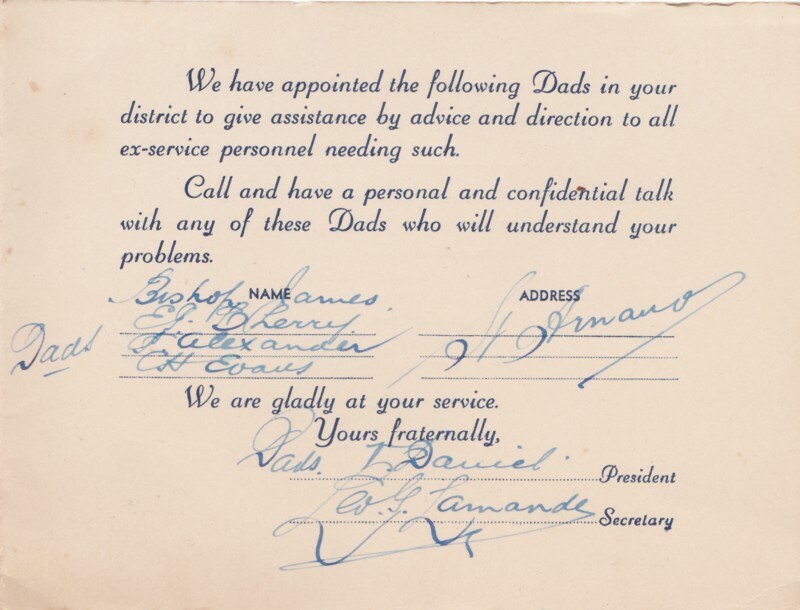 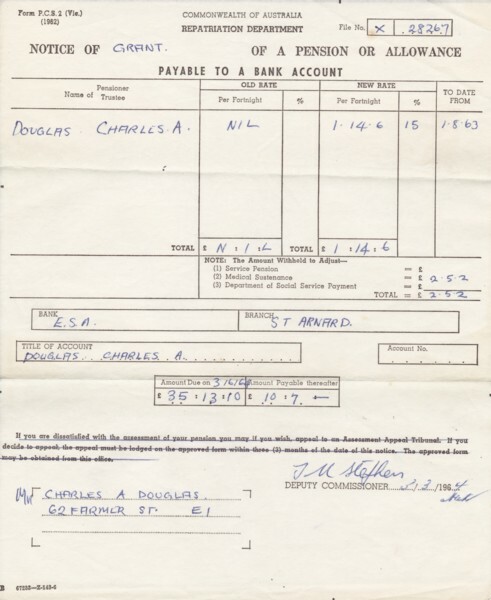 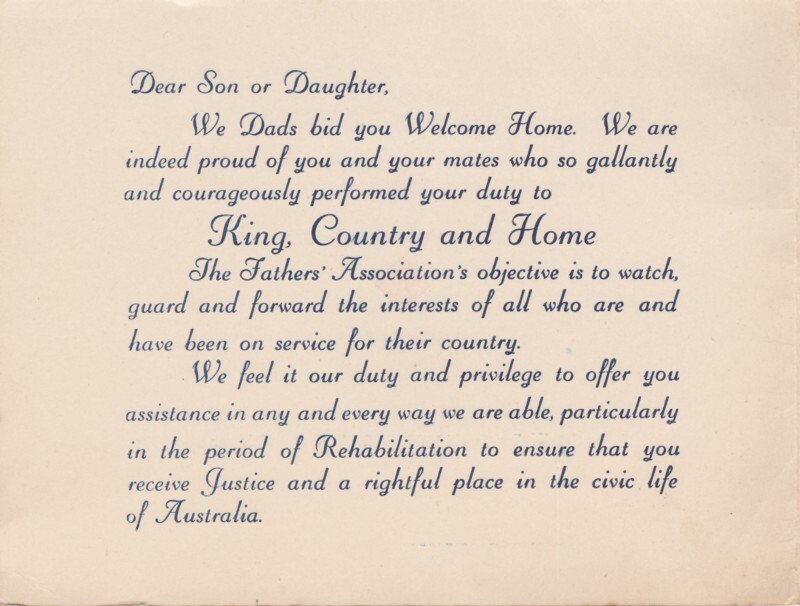 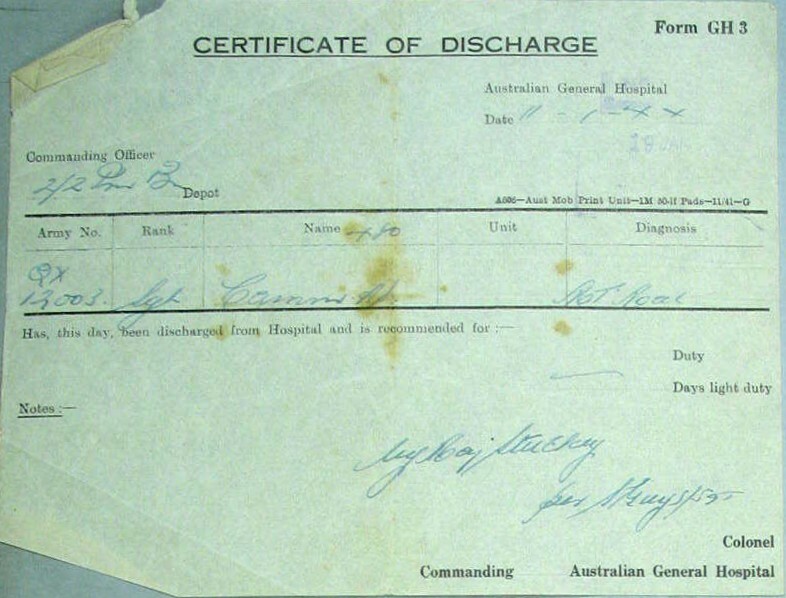 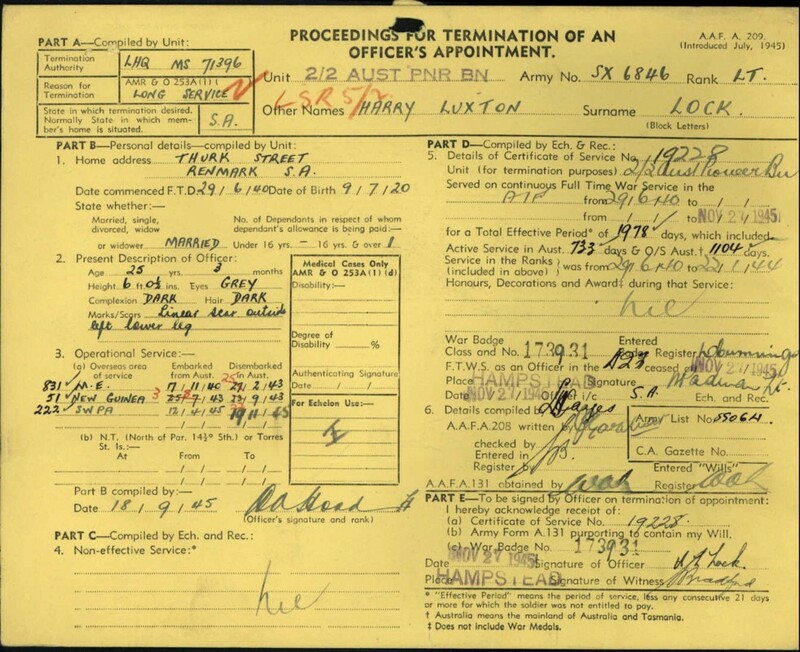 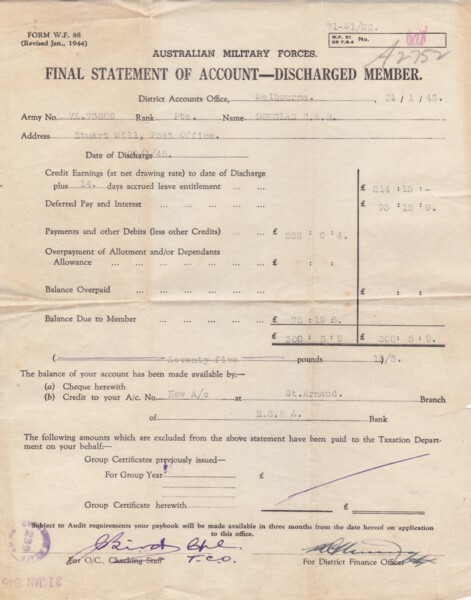 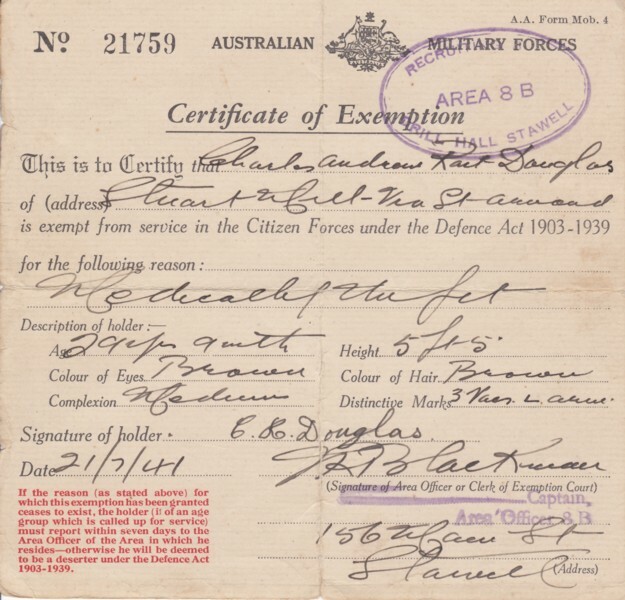 Certificate of discharge from military Australian General Hospital of a soldier. 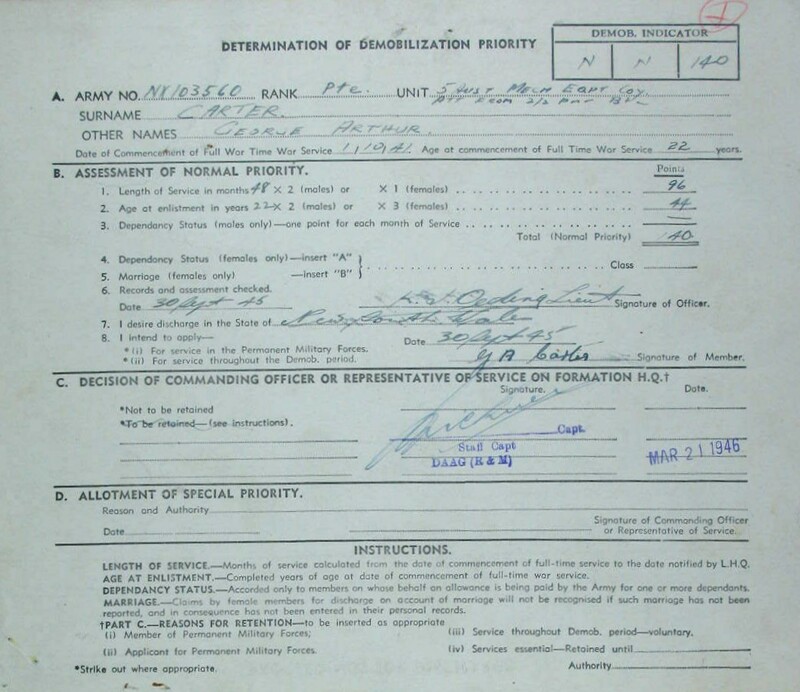 Determining demobilization priority of a soldier. 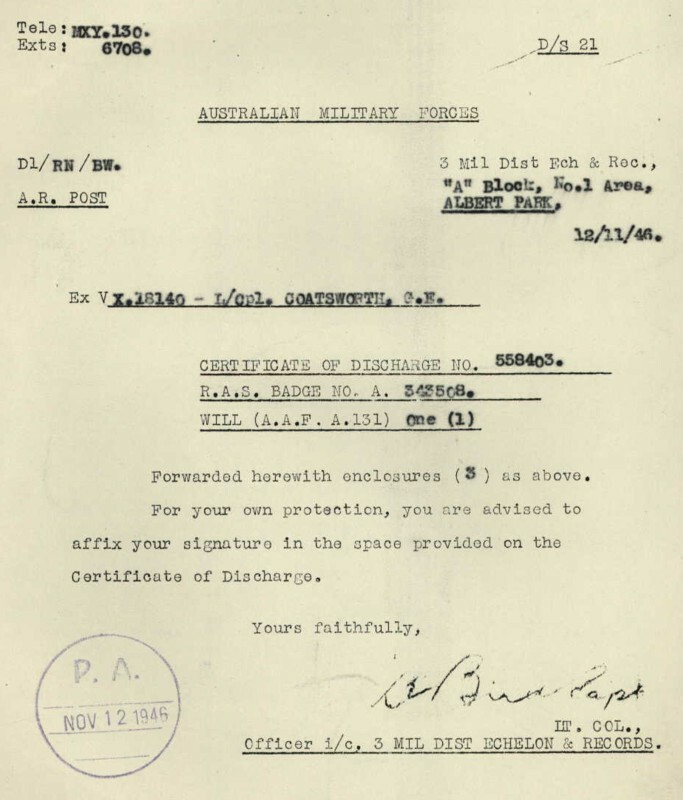 Letter advising delivery of Discharge Certificate. 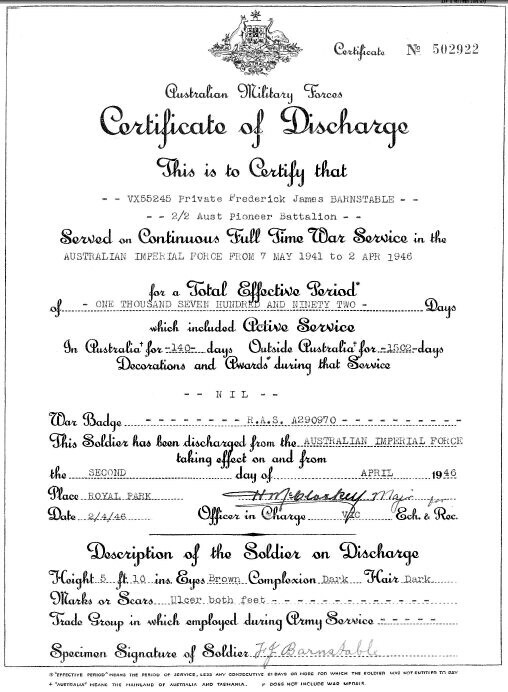 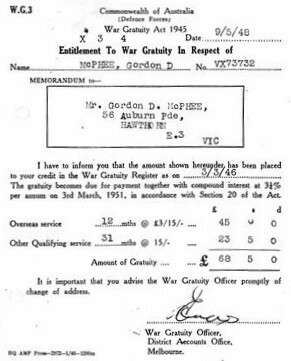 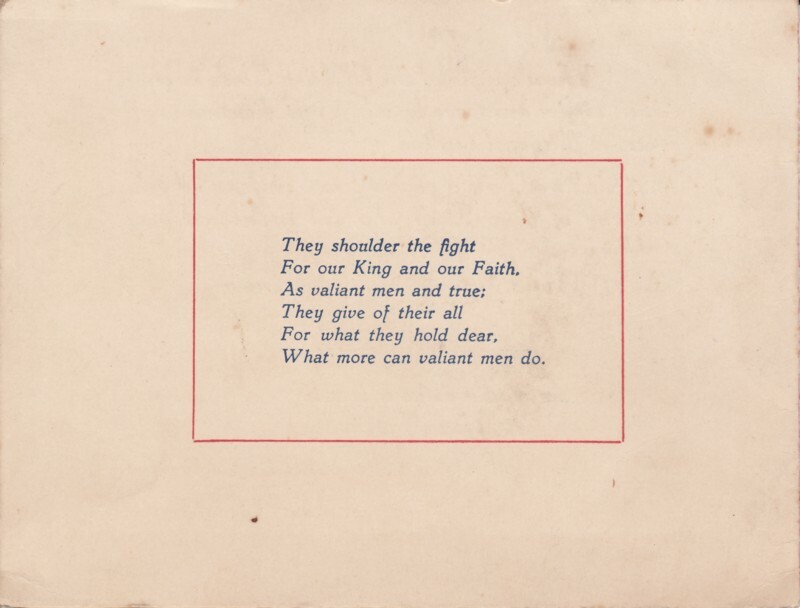 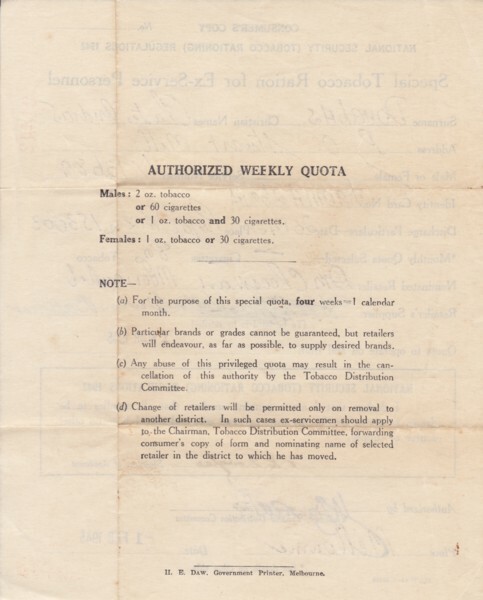 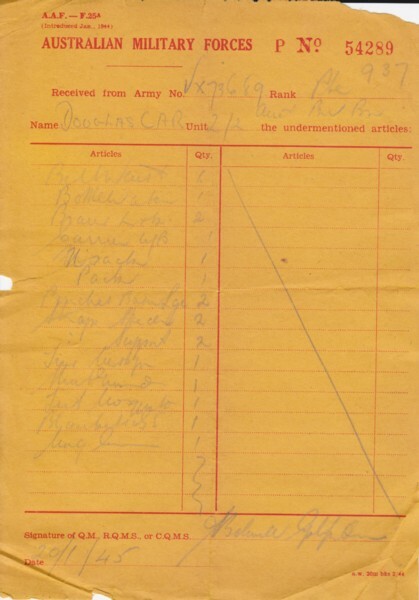 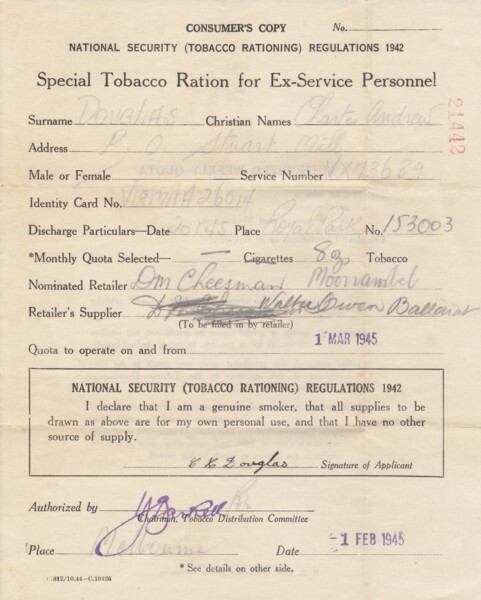 Discharge Certificate issued to soldiers.